Tip - Know when to walk away…know when to run..
Classic Pai Gow with playing cards instead of dominoes. 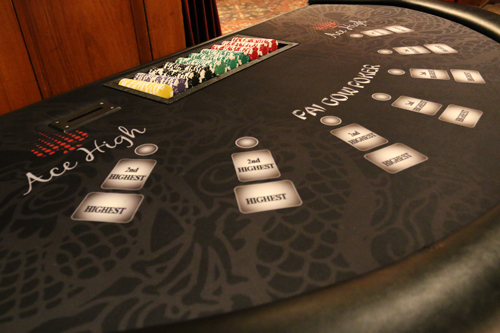 Pai Gow Poker is a great table game to play. 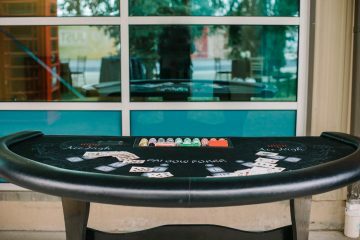 The object of Pai Gow poker is for a player to create two poker hands out of the seven-card hand he/she is dealt by the dealer: a five-card hand, and a two-card poker hand. Our table has a Dragon background in the design to add to the Asian theme. Awesome Company to do business with! The best rental tables in all of so cal. 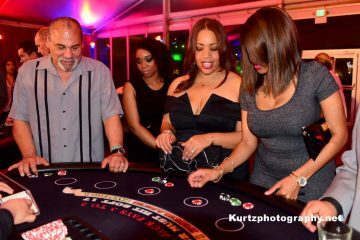 Very clean and professional looking, we had them all craps, poker, blackjack, and roulette, ALL of them looked brand new from Vegas! 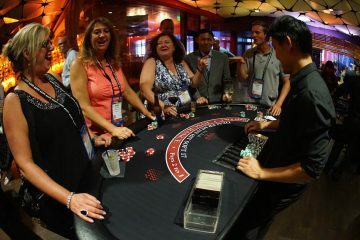 Dealers were great, they really made the experience fun, even teaching newbies how to play!